Nanzan Giro Giro is one of those hidden gems in Honolulu that I never would have found on my own. I’d heard murmurs of the interesting contemporary kaiseki-style restaurant tucked away on Pensacola Street, and finally went to visit for the first time last November. 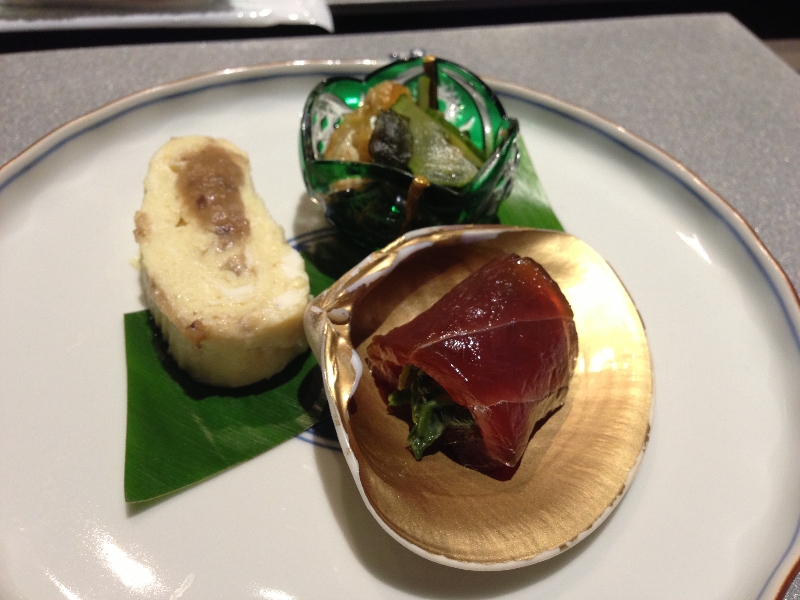 The kaiseki style of cuisine is truly a culinary art form. The set kaiseki menu is the only option at Nanzan Giro Giro, and the entire menu changes each month. You basically put your total trust in the restaurant, sit back, and let the show begin. For $50, seven courses are meticulously presented and prepared for you with beautiful ceramic serving dishes – created by the artist Nanzan. None of the dishes are large (maybe 3-4 bites for most) but I left feeling full, probably because you eat with your eyes first and the presentation is such a beautiful feast for your senses. Street parking on Pensacola or surrounding streets. I’ve gotten lucky both times but you may want to allow a few extra minutes to be sure you get parking. There is a wine pairing option with dinner, which includes 4 wines (2oz each) to pair with your courses for $25. I usually opt to do wine by the glass or bottle instead and there are also sakes and beer available. Dessert is an extra $8, and also rotates monthly, but always includes a tiny flavored macaron, a nod to their sister restaurant in Paris.